You are here: Home / Life Musings / Can we just be ourselves? Can we just be ourselves? One of the saddest things in my life is that I lost both of my grandmothers within a few years of each other when I was very very young. Both of my grandmothers were taken by diseases that are now prime targets for fundraising and cures. My mother’s mother struggled badly with asthma and was taken by a sudden and severe asthma attack. My father’s mother struggled with MS for more than 40 years and passed shortly after a surgery that was supposed to help improve the quality of her life. I think of my grandmothers a lot. 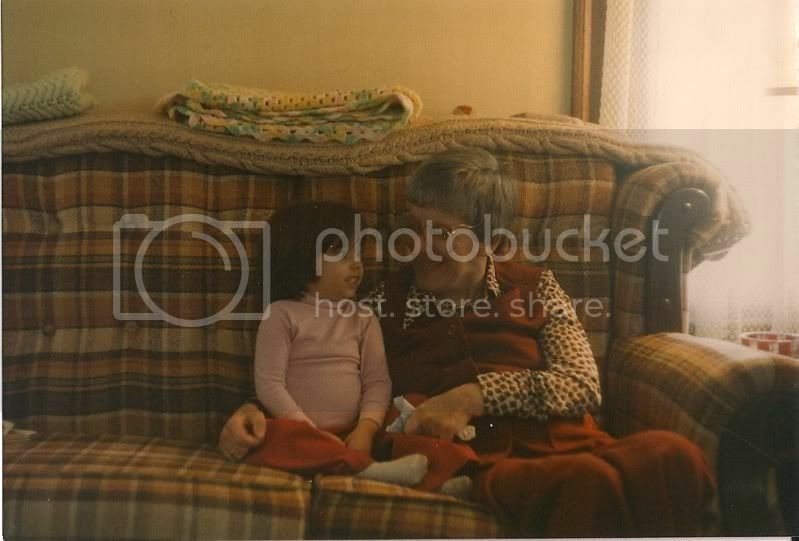 I was only 6 when my first grandma died, about 10 when my second grandmother passed. You don’t really know enough at that age to ask important questions or to acknowledge the fact that you have these wonderful people around. I’ve been thinking about my grandmothers, then my mom, then me as I watch Mad Men. My grandmothers were raising children in the 1960s. Both of my grandmothers were overall pretty traditional. 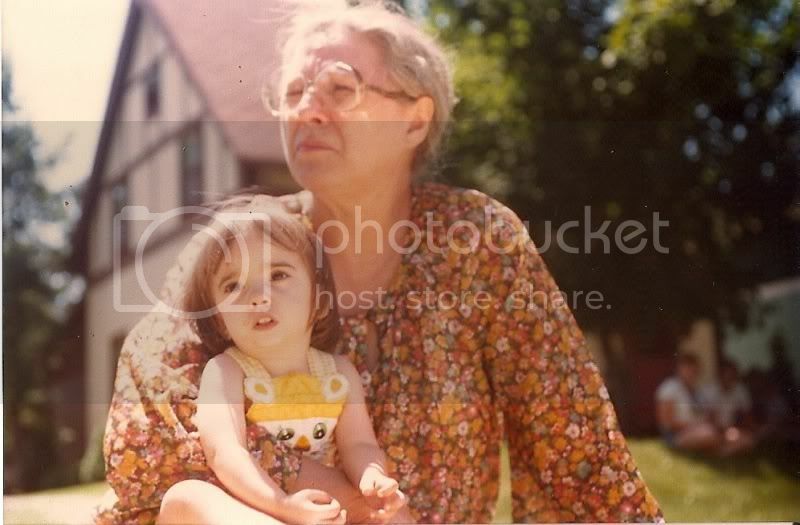 My paternal grandmother, of course, was greatly inhibited by her disease, but still she believed strongly in family gatherings, in outings, in proper language, things like that. My mom’s mom was the type of person who could whip up a giant cake in five seconds flat. It is because of her that I taught myself how to crochet and how to knit. My mom and her generation are caught between the conventions of their mothers and the great pull of everything the 60s and 70s meant for young people. My mom was compelled to try to be a full-time mom and a full-time professional, as were and are so many women. Where are women in business today? Where are women today? As I try to build my personal “brand,” as I try to represent everything that matters to our family’s advertising agency, I find that I feel a strange pull. Is this what I should be doing? Is this too feminine? Is this not feminine enough? Should I buy a pinstripe suit? Or should I be wearing flowy dresses and skirts? When I was in high school and trying desperately to learn how to crochet, a lot of people made fun of me. When I got into college and knitted and crocheted a lot, at first people were a little perplexed, but slowly, both crafts became popular among my friends, and now the popularity of crafting in general has sky-rocketed. Why is Martha Stewart so popular? Why is there such a lust for nostalgic arts like folding dinner napkins into swans? Why is it mostly women who adore Martha and watch her show? Is something “homey” missing from our lives? I watch shows like Mad Men or the reaction to women like Hillary Clinton (regardless of your political views) and I think, “When can I just be me?” When will the pressure of “defining woman’s role” or “breaking the glass ceiling” finally be in the rear view mirror? I’m me. I’m my own person. I do business-type stuff. I do traditional domestic type stuff. I love both equally. Why does it feel like there needs to be something more grandiose? Men, what is your perspective? Both my grandmothers are still alive. 80 and 70, they’re both very traditional. Their difference is that my moms mom is the best business person I have ever met. Really. She started by selling mung beans outside the market. Meaning she had no leased space, she was out in the streets. Eventually she got a commercial space, then she got two, then three and then four. Her work ethic is impeccable, my grandfather was relegated and happy to fulfill the role of stock man and sometimes cashier. Through her very small grocery, she was able to send my mom and 7 children to college. Quite a feat here in the Philippines and in the provinces. Now I have uncles and aunts who are: a catholic priest, a born again pastor, a civil engineer, a doctor, a nurse, a businesswoman, a pharmacist, and my mom works in various nonprofits as a volunteer. Be yourself, do what you like doing, if you listen to the talking/tweeting personalities too much, it would just make you a faded copy of them. Let your inner self shine. Can’t believe I said that…. Wow, that’s an amazing story, Danny. Thank you so much for sharing! I changed it’s name to resortville. Busy week ahead for moi, catch ya later.